Qualcomm® Thinkabit Lab™ at Virginia Tech, National Capital Region: Anfal is Urban Alliance's Intern of the Week! Anfal is Urban Alliance's Intern of the Week! 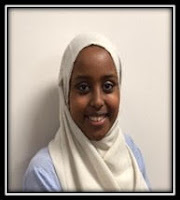 Our wonderful, reliable intern, Anfal Afrah was recognized by Urban Alliance as their Intern of the Week. Anfal is a Senior at Jeb Stuart High School (soon to be Justice HS) in Fairfax County. She has been interning at the Qualcomm® Thinkabit Lab™ at Virginia Tech since October. 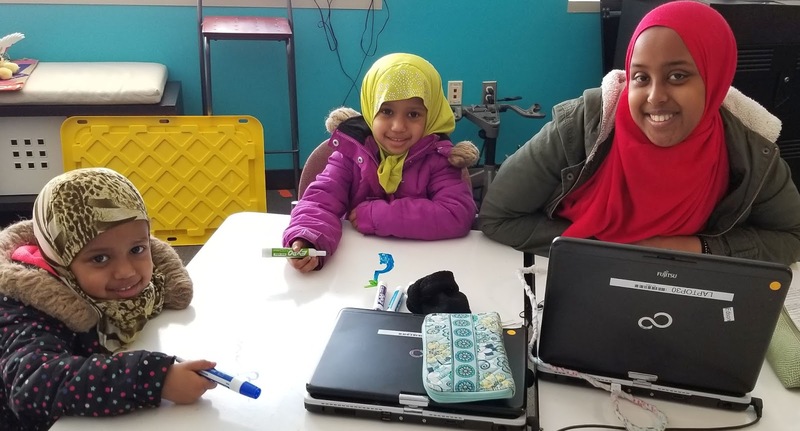 Anfal works collaboratively with her lab partner and classmate Faiza Aadan, and their individual strengths complement each other nicely. Both are interested in health careers and are in LPN training programs, and planning to continue at Northern Virginia Community College next Fall We look forward to Anfal's arrival at work each day. Anfal also takes care of several younger siblings, and even brings them to the Lab on her days off while she works on college plans. Our campus is closed March 21 due to weather. Instructor Opportunities at our Lab!